If you're like me, you may find the world of specialty coffee overwhelming. Its full of new sounds, smells, contraptions & vocabulary. There is a lot of science behind the perfect cup of coffee (Heisenberg was right) but it doesn't have to be exclusive. You can enjoy quality cups whenever, wherever & Im going to show you how. "I'M not a barista but damn Daniel, I could be "
Ultimately you can use any coffee for this recipe but I would highly recommend taking a trip to your local specialty coffee house or roasters. They can help you pick a bean that’s to your flavour preferences and they will even ground yours beans up for you according to your brew method! Investing in a v60 allows you to have access to filter coffee anytime, anywhere. You can buy v60 & v60 filter papers online & also in some stores. This recipe is a standard guide. You can tweak the ratios to suit your strength/flavour preferences. 1. Grind 15g of coffee beans. Bring the water in the kettle up to a heat of 96 degrees celsius. 2. Put your cup on top of your scale. Tare the weight. 3. 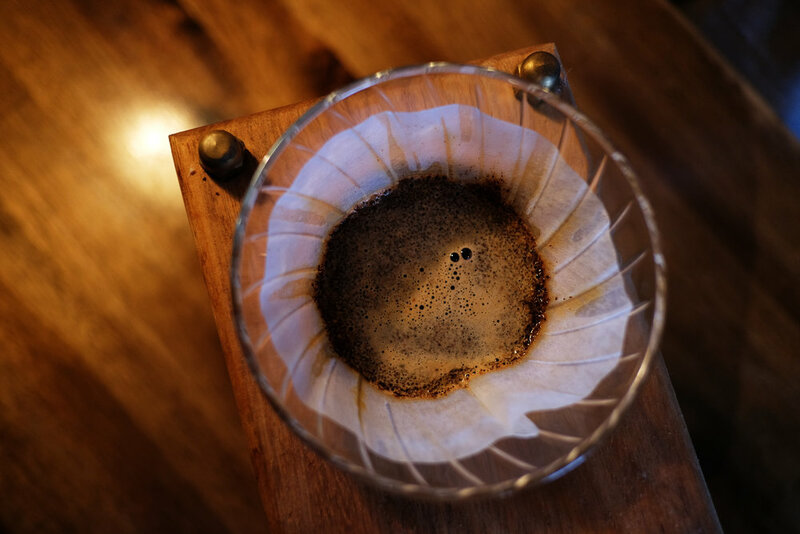 Put the v60 paper into the v60 filter. Wet the paper then place ontop of the cup. 3. Place coffee grinds into the v60 filter paper. Tap the sides, making sure the coffee is level. Tare the weight. 4. Start the timer. For about 10 seconds slowly pour the hot water on top of the coffee grounds in a circular motion to ensure even extraction. 5. Stop pouring & allow the filter coffee to drip through. 6. For the next 2 minutes intermittently pour the rest of the water over the coffee, continuing in a circular motion till you reach a weight of 240 grams. 6. The total time of extraction should take about 3 minutes. Seconds after this pour over was made it was inhaled. There you have it. 6 steps to perfect filter coffee. Anywhere. Anytime.